Getting on the water is a great way to enjoy the outdoors in Virginia&apos;s Blue Ridge. With over 120 miles of scenic blueways, numerous lakes, and meandering streams, it&apos;s a fantastic destination for paddling, floating, fishing, tubing, and boating. Cortney Erndt of Group Tour Media took advantage of the opportunity to get on the water when she visited the region as part of a media tour hosted by Visit Virginia&apos;s Blue Ridge and wrote about the experience in a recent story titled "Extreme Water: Refresh Itineraries with Aquatic Adventures." 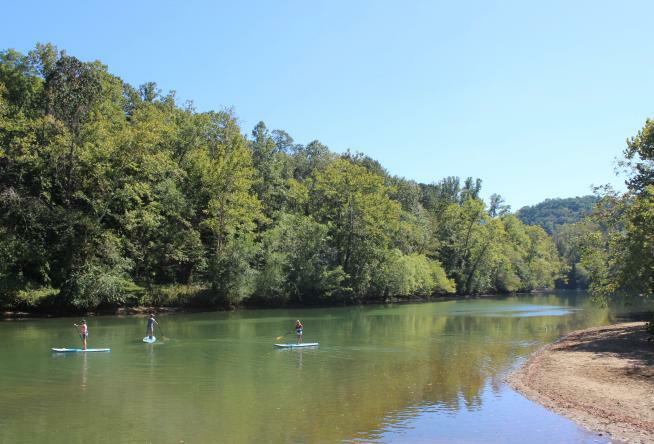 The piece highlights Roanoke Mountain Adventures (RMA) and the activities & experiences they offer for groups, including kayaking, tubing and standup paddleboarding. "Roanoke Mountain Adventures’ experienced staff leads guided trips and also rents out high-quality gear for top-notch recreation. The half-day guided kayaking trip is a 6-mile stretch from Rotary Park in Salem back to Roanoke Mountain Adventures. Self-guided trips also are available. And groups looking for an extra relaxing experience should consider tubing." In addition to aquatic adventures, Roanoke Mountain Adventures can also assist with putting together a top-notch mountain biking trip. 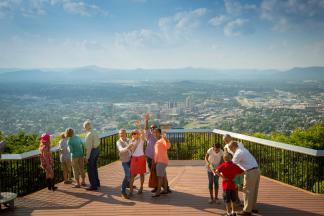 Visit the Roanoke Mountain Adventures website to begin planning your next activity.